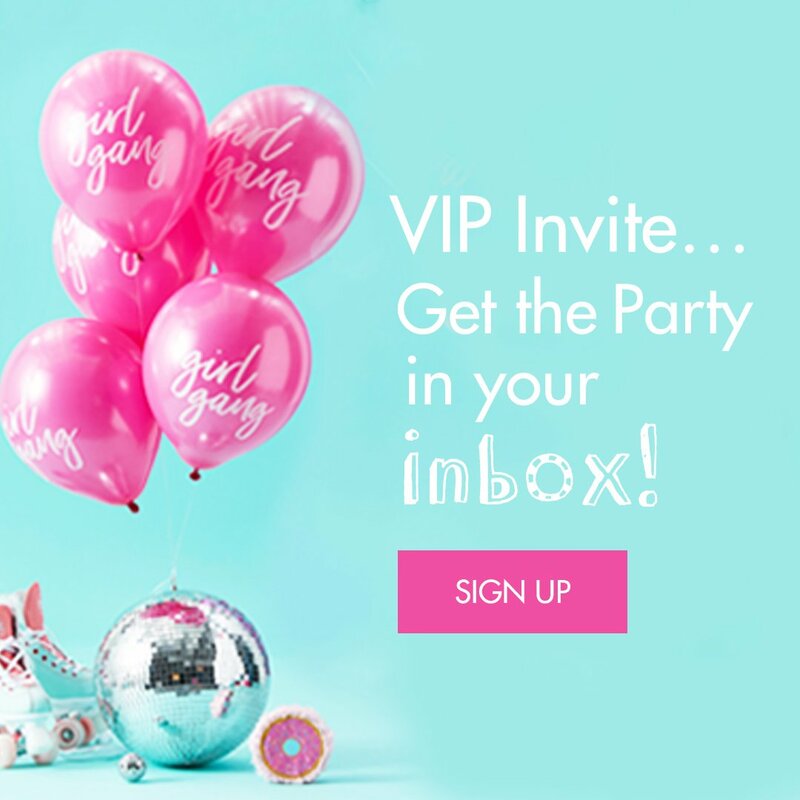 Add a bright splash of colour to your party with our neon party ideas! 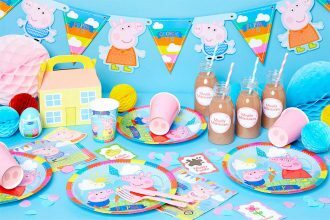 Perfect for kids and adults alike, this bright and colourful birthday party theme is simple, stylish and you don’t have to be a professional party planner to make it look good. 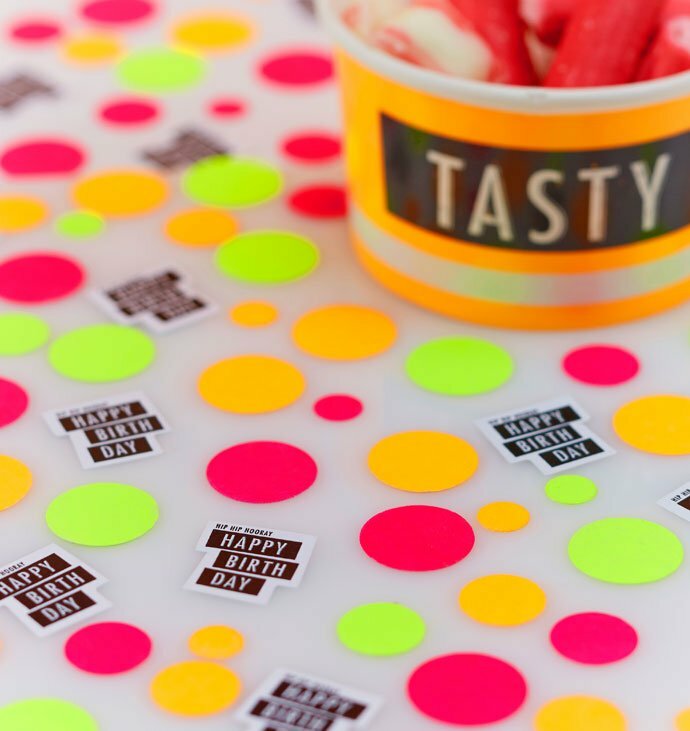 Read on for a neon party extravaganza full of easy decorating tips, food ideas and more! 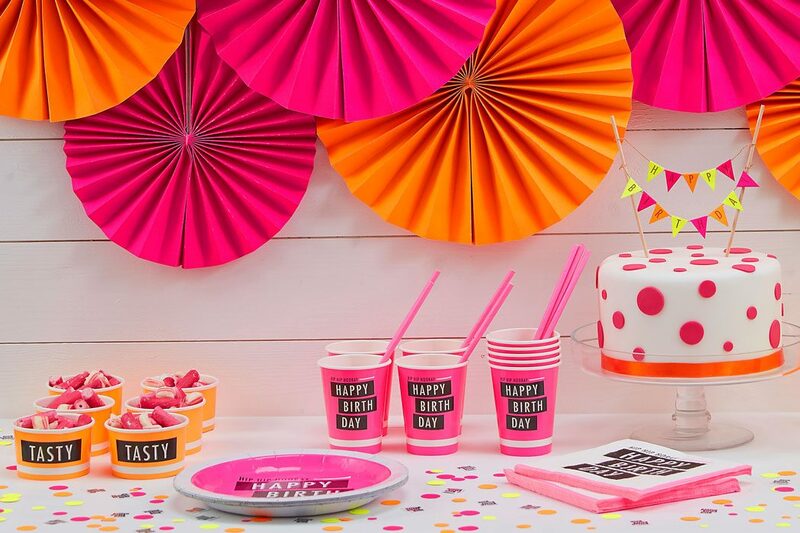 Any neon birthday party should start with choosing a colour scheme. Don’t be tempted to use all the neon colours – mix and match one or two neon colours with blocks of white for the most stylish look. 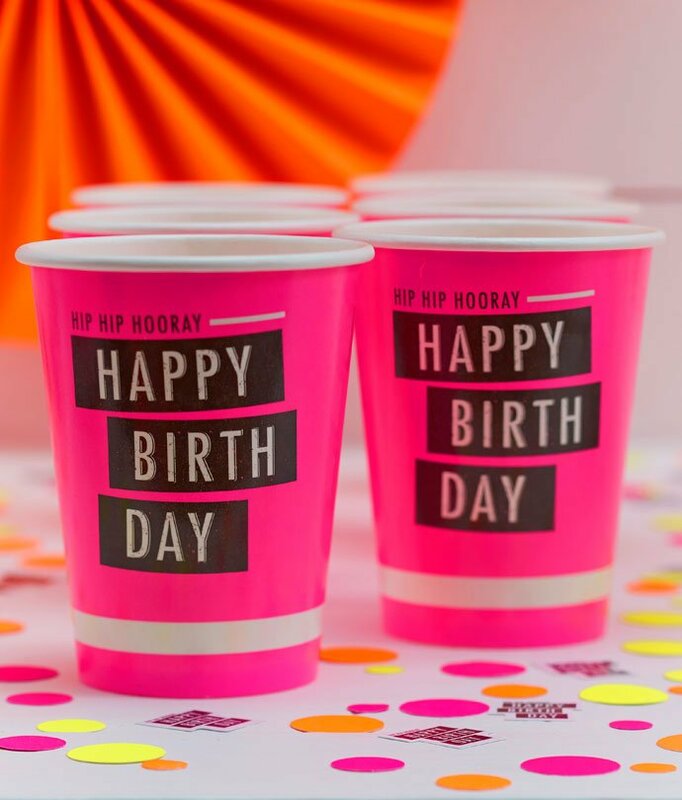 We chose neon pink and orange tableware from this range of neon party supplies – with the odd splash of lime green. 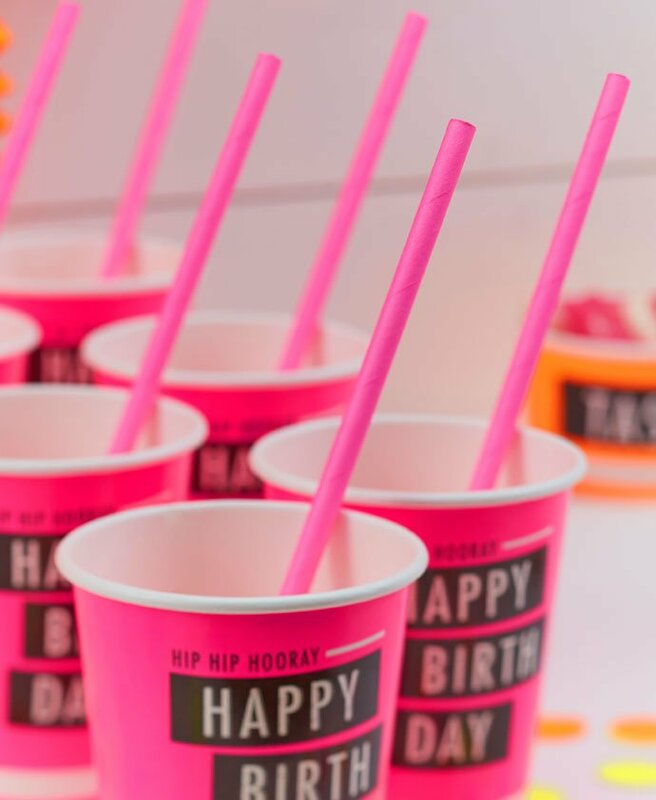 This isn’t an expensive party theme to recreate (remember, blocks of white = simple and stylish) and pink paper straws like these will add a bright pop of colour for relatively little cost. 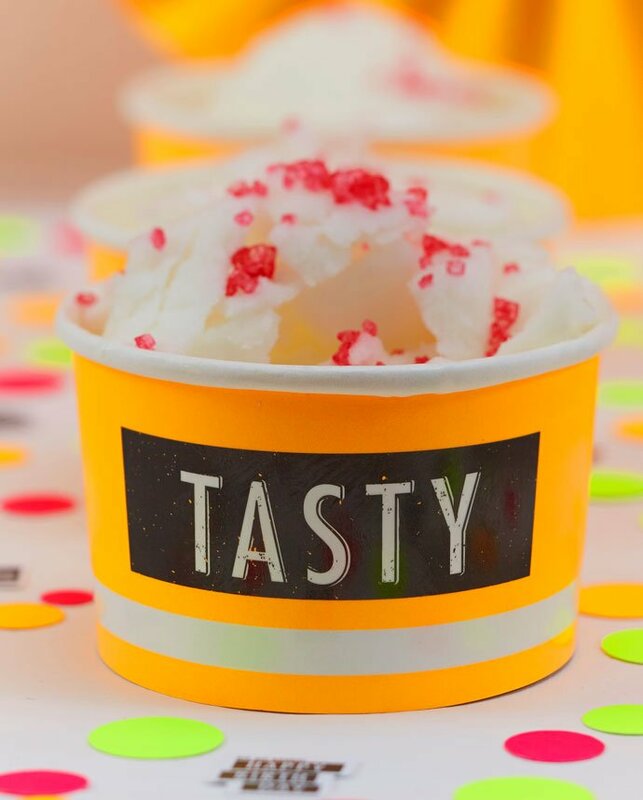 As for party food, here are a few simple ways to brighten up your buffet! 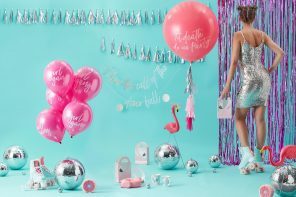 Since our neon party supplies are so bright, you’ll only need a couple of decorations to make your party theme look extra vibrant. Lay the buffet table with a white table cloth (too many neon colours can be a bit OTT) and scatter it with this cute neon table confetti. 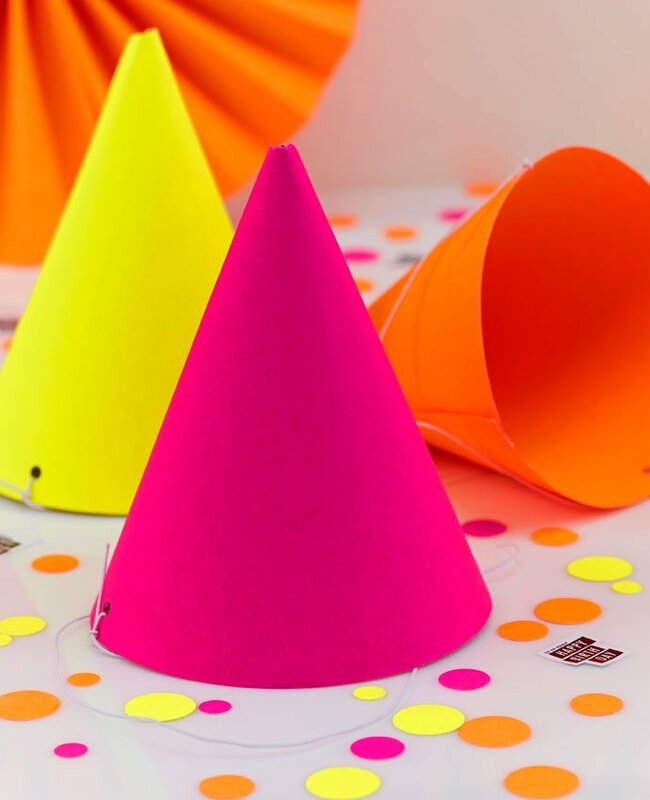 How about scattering some neon party hats like these around the table for your guests to wear during the party? Even if they don’t wear them they’ll make cute table decorations! 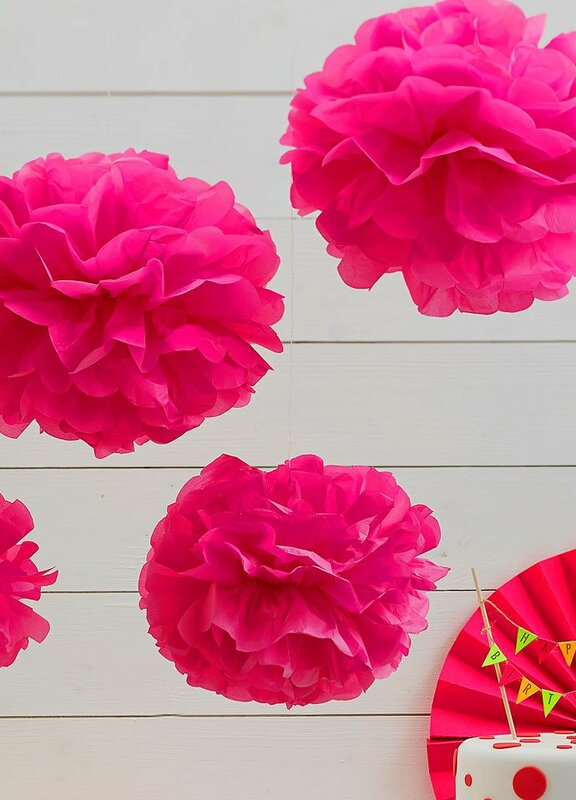 As for room decorations, hang a few pom poms around your party venue for some bright pops of colour. 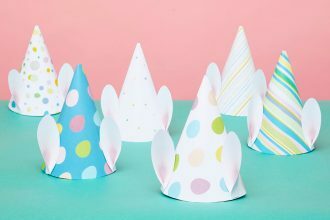 Sticking to white, pink, orange and lime green will keep your decorations looking stylish and well-coordinated – and super pretty! 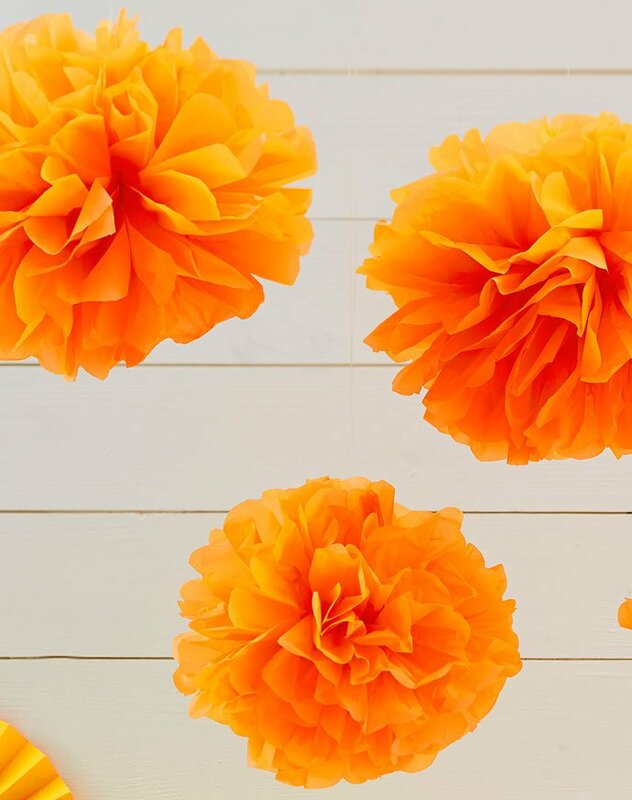 Hang your pom poms in a block of colour or mix and match them! Don’t forget a birthday cake! 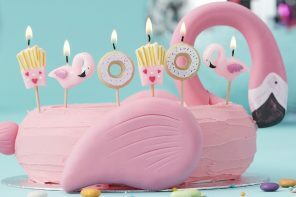 Last but not least, our neon party ideas wouldn’t be complete without a neon birthday cake! 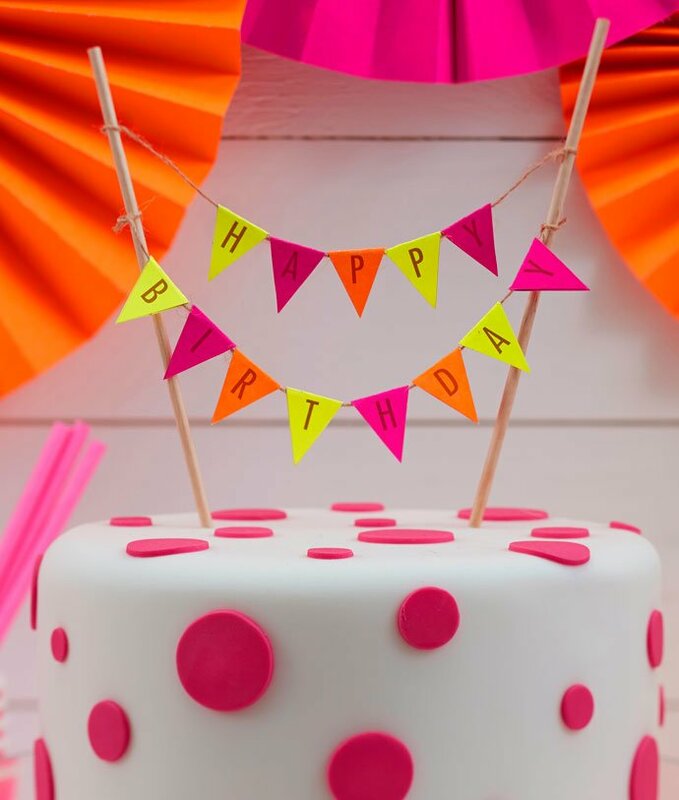 Start with a plain cake iced with white ready-to-roll icing, then top it off with some neon cake bunting like this. 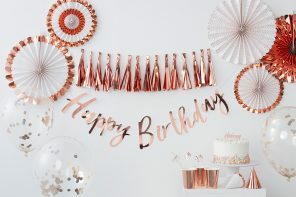 It’s simple but effective and it’ll match your other decorations perfectly!